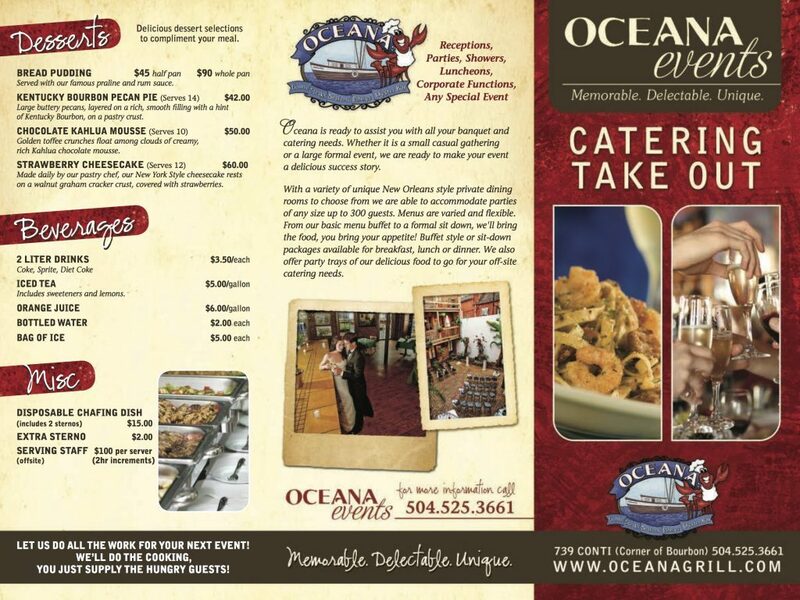 Let Oceana do the cooking for your next gathering, with take out party trays of our delicious food for your off-site catering needs. We can help with everything from the cooking to the serving, as little or as much as you need. Take the guess work out of ordering with our per person priced meal packages. 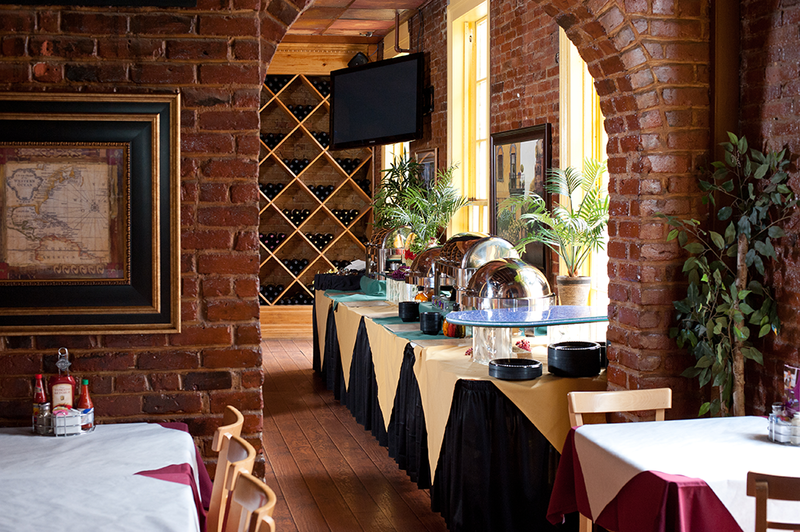 Great for business meetings and luncheons. Take it easy and let us do the work! 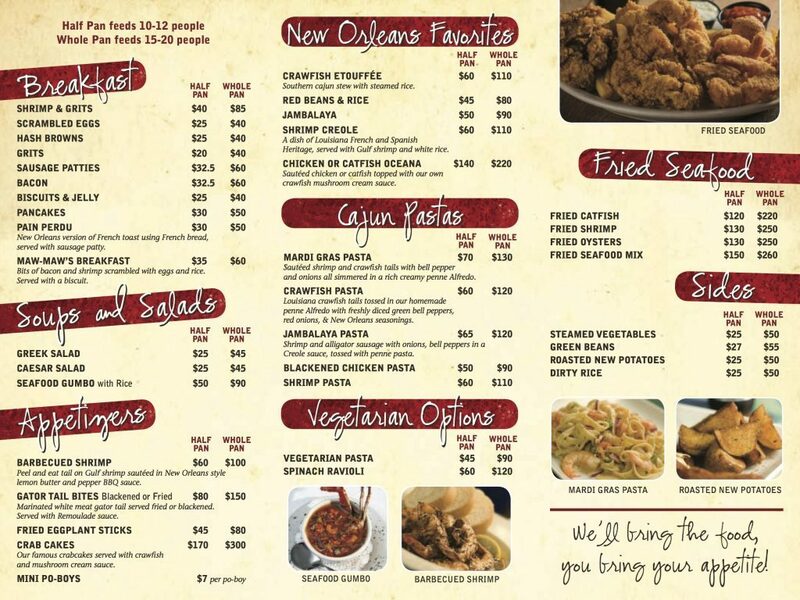 View our Catering Take Out Brochure below and contact us for additional options and custom packages.